(Francisco Kjolseth | The Salt Lake Tribune) Michael Bliss' father, Army 1st Lt. Clarence Bruce Bliss, went missing in action in 1952 during the Korean War when the younger Bliss was 3 years old. 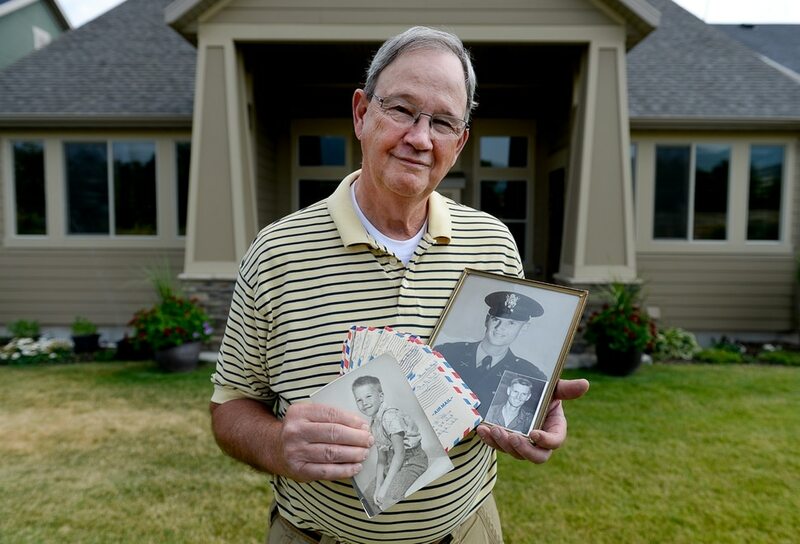 Now the 70-year-old resident of Midway, UT, holding photos of himself and his father along with correspondence his parents exchanged, hopes the remains the North Korean government recently provided to the United States includes his father. (Francisco Kjolseth | The Salt Lake Tribune) Michael Bliss' father, Army 1st Lt. Clarence Bruce Bliss, went missing in action in 1952 during the Korean War when the younger Bliss was 3 years old. 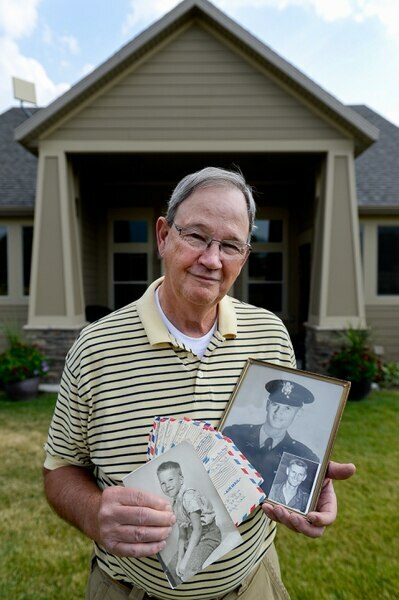 Now the 70-year-old resident of Midway, UT, holding photos of himself and his father along with correspondence his parents exchanged, hopes the remains the North Korean government recently provided to the United States includes his father. (Francisco Kjolseth | The Salt Lake Tribune) Michael Bliss' father, Army 1st Lt. Clarence Bruce Bliss, far right, went missing in action in 1952 during the Korean War when the younger Bliss was 3 years old. 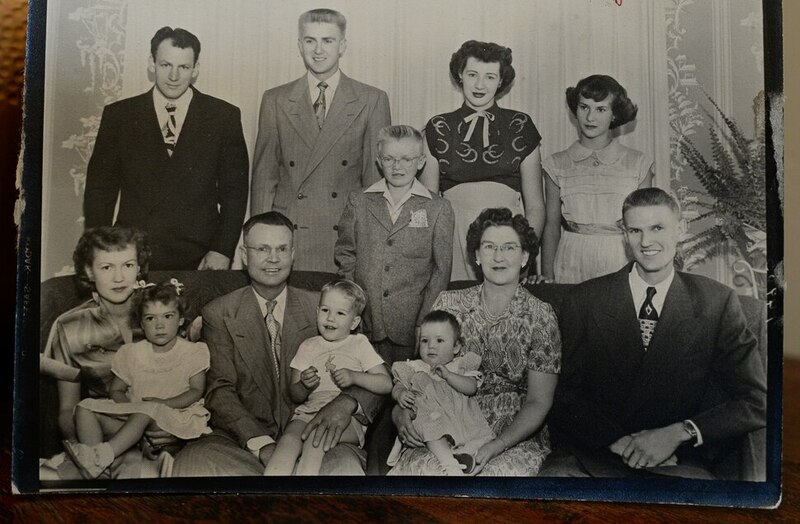 Now the 70-year-old resident of Midway, UT, pictured on his grandfather's lap, center, is hoping the remains the North Korean government recently provided to the United States includes his father. 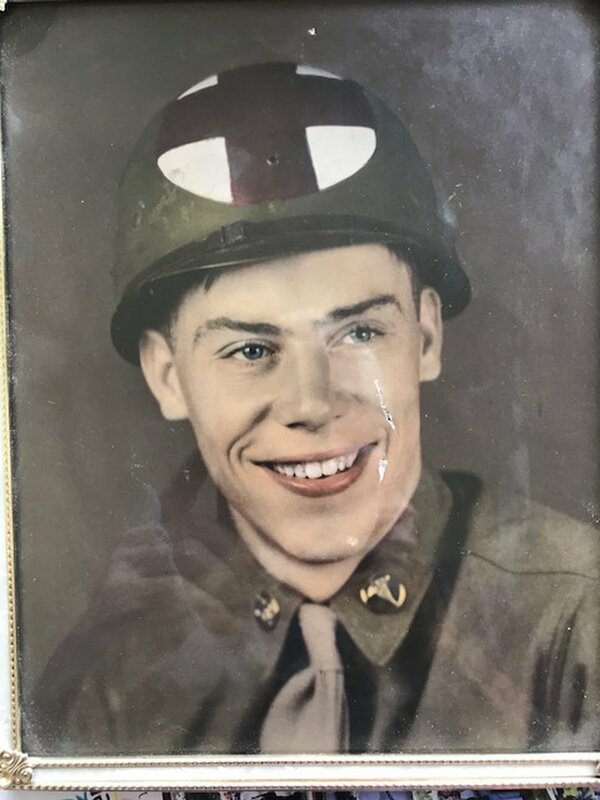 (Francisco Kjolseth | The Salt Lake Tribune) Michael Bliss' father, Army 1st Lt. Clarence Bruce Bliss, went missing in action in 1952 during the Korean War when the younger Bliss was 3 years old. He is hoping the remains the North Korean government recently provided to the United States includes his father. (Francisco Kjolseth | The Salt Lake Tribune) Michael Bliss' father, Army 1st Lt. Clarence Bruce Bliss, went missing in action in 1952 during the Korean War when the younger Bliss was 3 years old. Now the 70-year-old resident of Midway, UT, is hoping the remains the North Korean government recently provided to the United States includes his father. (Francisco Kjolseth | The Salt Lake Tribune) Michael Bliss' father, Army 1st Lt. Clarence Bruce Bliss, went missing in action in 1952 during the Korean War when the younger Bliss was 3 years old. Numerous letters written from his father to his mother during the war give Bliss, now 70-years-old, a sense of what his father was like. He is hoping the remains the North Korean government recently provided to the United States includes his father. (Francisco Kjolseth | The Salt Lake Tribune) Michael Bliss' father, Army 1st Lt. Clarence Bruce Bliss, went missing in action in 1952 during the Korean War when the younger Bliss was 3 years old. 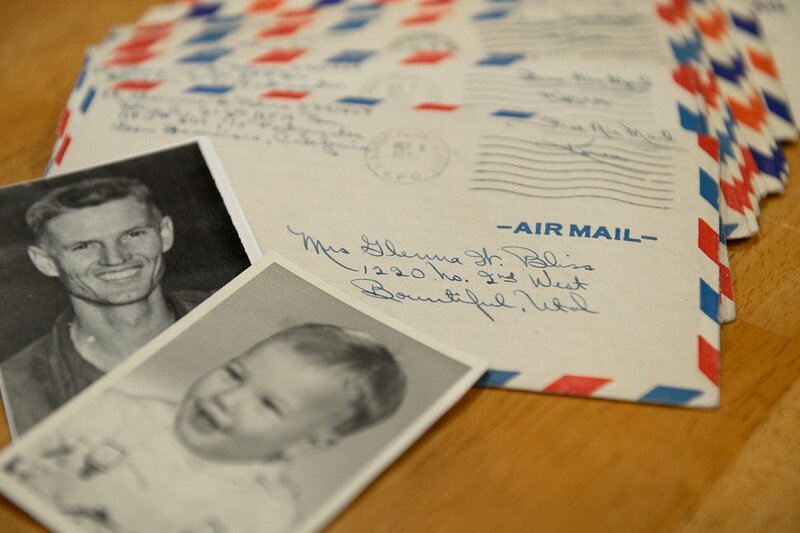 Old photographs, including his parents marriage certificate fill in for memories of his father. He is hoping the remains the North Korean government recently provided to the United States includes his father. (Francisco Kjolseth | The Salt Lake Tribune) Michael Bliss' father, Army 1st Lt. Clarence Bruce Bliss, seen third from left at top, went missing in action in 1952 during the Korean War when the younger Bliss was 3 years old. Now the 70-year-old resident of Midway, UT, is hoping the remains the North Korean government recently provided to the United States includes his father who he says was known to be a great baseball player. (Francisco Kjolseth | The Salt Lake Tribune) Michael Bliss' father, Army 1st Lt. Clarence Bruce Bliss, went missing in action in 1952 during the Korean War when the younger Bliss was 3 years old. He is hoping the remains the North Korean government recently provided to the United States includes his father. (Francisco Kjolseth | The Salt Lake Tribune) Michael Bliss' father, Army 1st Lt. Clarence Bruce Bliss, went missing in action in 1952 during the Korean War when the younger Bliss was 3 years old. Numerous letters written from his father to his mother during the war give Bliss, now 70-years-old, a sense of what his father was like. He is hoping the remains the North Korean government recently provided to the United States includes his father. (Francisco Kjolseth | The Salt Lake Tribune) Michael Bliss' father, Army 1st Lt. Clarence Bruce Bliss, went missing in action in 1952 during the Korean War when the younger Bliss was 3 years old. Now the 70-year-old resident of Midway, UT, is hoping the remains the North Korean government recently provided to the United States includes his father. Michael Bliss would like to bury the father he lost when he was 3 years old. Valerie Lindsay would like the remains of the uncle she never met. And former Marine Sgt. John Cole hopes the U.S. government identifies the remains of the two men he lost from the fire team he commanded in 1950. The U.S. Department of Defense says there are 34 Utahns still missing in action from the Korean War. Their families, as well as those Utahns who served on the Korean Peninsula, have been watching the news over the past week hoping their loved ones or comrades are among the remains the North Korean government recently provided to the United States. None of the families or veterans expects a quick answer. The Defense Department’s POW/MIA Accounting Agency has spent years explaining their work to them and giving them updates on their individual cases. (Francisco Kjolseth | The Salt Lake Tribune) Michael Bliss' father, Army 1st Lt. Clarence Bruce Bliss, went missing in action in 1952 during the Korean War when the younger Bliss was 3 years old. Numerous letters written from his father to his mother during the war give Bliss, now 70-years-old, a sense of what his father was like. He is hoping the remains the North Korean government recently provided to the United States includes his father. Yet Bliss is optimistic he will one day be able to bury his father. He long ago provided a DNA sample that might be used to confirm whether some set of repatriated remains are that of his dad, a forward observer who was scouting enemy positions when the airplane he was aboard vanished. The remains might also answer questions about what happened to him. His son assumes the plane was shot down, but there was no distress call and no eyewitnesses. Nor was Clarence Bliss, who was 31 and whose wife was pregnant with their second child when he went missing, ever reported as being a prisoner of war. (Trent Nelson | Tribune file photo) Sunny Lee at her home in Springdale, Friday May 8, 2015. 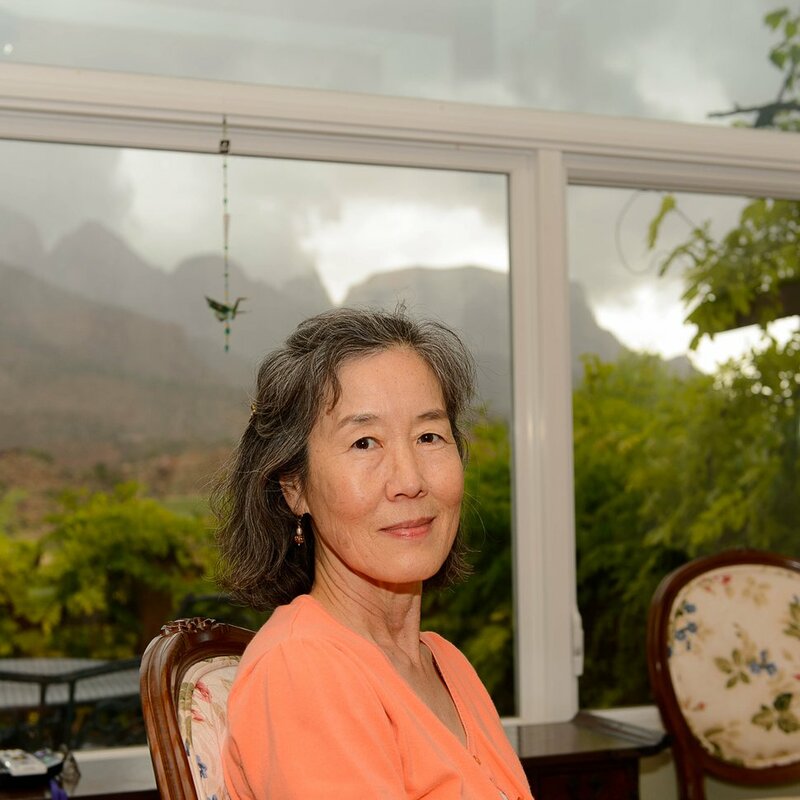 Sunny Lee, a Seoul-born resident of Springdale, who helps organize trips to South Korea for former soldiers and their families, said she has been watching the news of the repatriated remains and been speaking with families from across the country, wondering if their loved ones are in any of the caskets that recently landed in Hawaii. There’s not much families can do right now. She urged any families who have not already done so to try to attend one of the meetings the POW/MIA Accounting Agency holds around the country and submit a DNA sample there. Lee has known families who went on the “emotional journey” of having their soldier’s remains returned from the Korean Peninsula. (Photo courtesy of Van Dewerker family) Army Cpl. Patrick Van Dewerker, of Brigham City, went missing during the Korean War in 1950, according to military records. His family hopes his remains are among those the North Korean government provided to the United States in July 2018. Lindsay believes she knows what happened to her uncle, Army Pfc. Patrick W. Van Dewerker, of Brigham City. Witnesses and Defense Department research, she said, indicate he was taken prisoner while fighting in Taejon (Daejeon), South Korea, on July 20, 1950. Reports showed he was forced to walk in what was called the “Tiger Death March” and died in the cold in North Korea. The remains have never been returned, Lindsay said. She would like a funeral for Van Dewerker while four of his 14 siblings are still alive. Some of Van Dewerker’s older brothers served in the military, Lindsay said. “I guess he just considered it his duty." Cole’s fire team was at the Battle of Chosin Reservoir. He doesn’t know the names of the two men he lost. 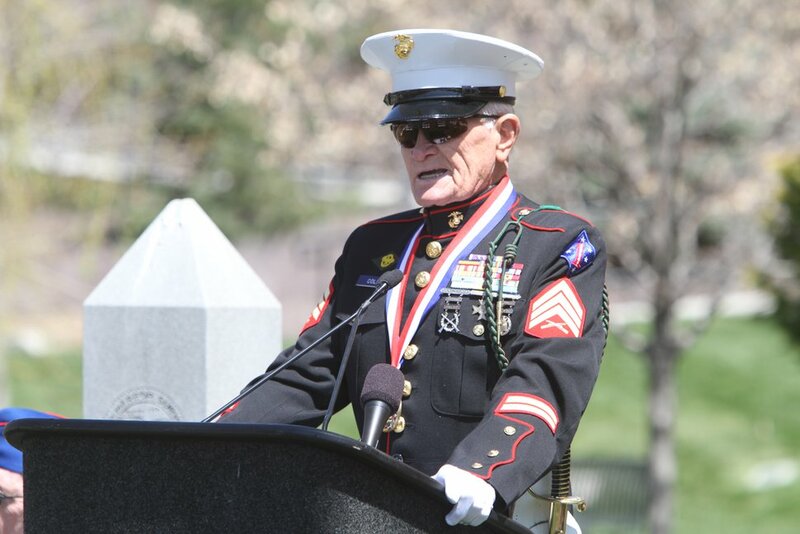 Rick Egan | The Salt Lake Tribune John Cole, U.S. Marine, Korean War Veteran, Battle of Chosin Reservoir, speaks at a memorial honoring veterans of the Korean War, at Memory Grove, April 24, 2013. The ceremony is part of the larger effort to remember veterans of the Korean War, which began June 25, 1950, and ended in July 1953. Now 91, Cole has been one of Utah’s foremost advocates for Korean War veterans, helping raise money for memorials and organizing ceremonies. He sees the personnel still missing in the two Koreas as unfinished business that’s being addressed with the recent return of remains. “To me, it’s a huge great step toward getting our veterans out of North Korea,” he said. As of Dec. 31, 2017, the POW/MIA Accounting Agency listed 34 Utahns as still missing from the Korean War.